R.J. Butterfield, is a master thatcher based in Taunton, offering specialist thatching services throughout Somerset and Devon. 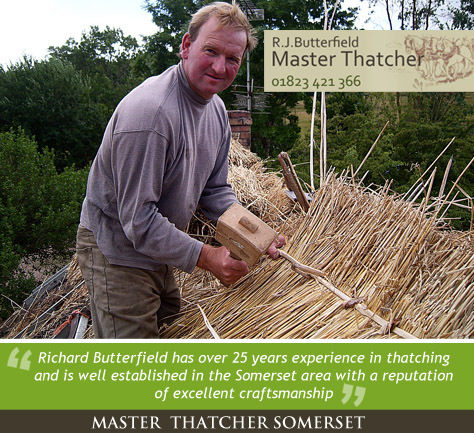 Richard Butterfield has over 25 years experience in thatching and is well established in the Somerset area with a reputation of excellent craftsmanship. Richard grows his own wheat reed near to his home ensuring his materials are locally sourced.